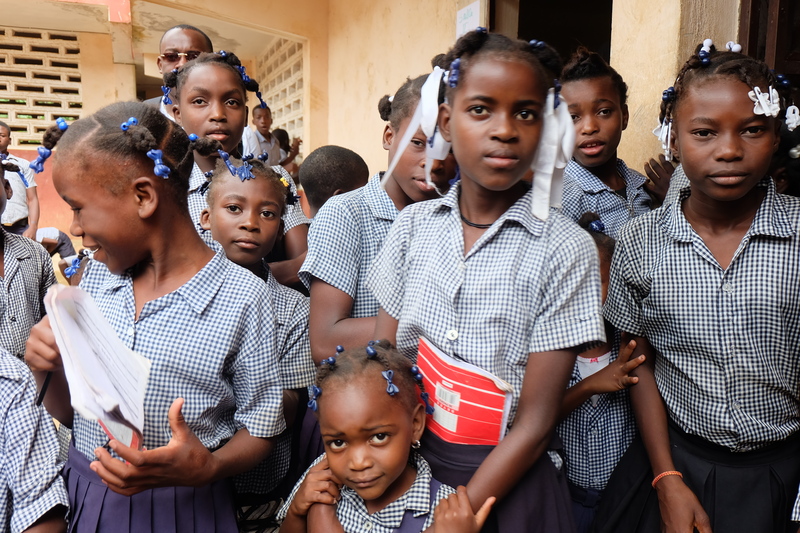 On October 24rd, 2018 the FOTCOH Education Clinic Team visited the Cap-Rouge National School in Cap-Rouge, Haiti where we distributed 40 Sawyer Water filters to students at the school to take home to their families. 3 of those filters were left at the school for the students to use throughout the school day. Both students, teachers, and administrators participated in the WaSH and Sawyer Filter training. 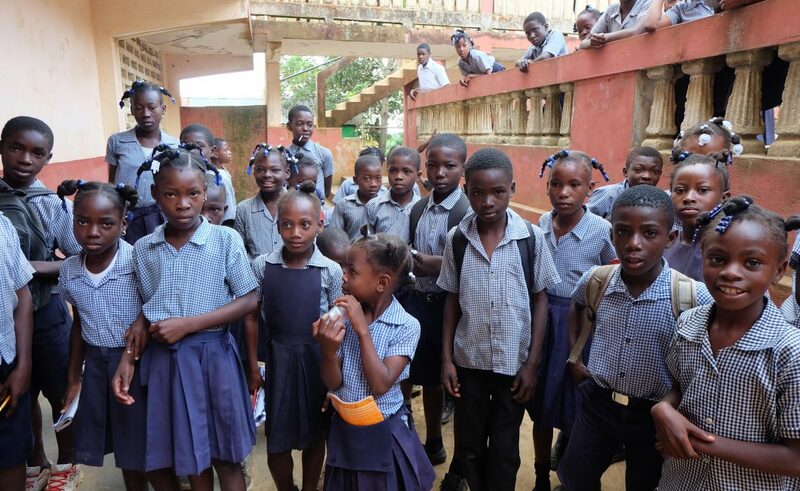 In total, 88 adults and 984 children now have access to clean water thanks to our partnership with Wine to Water in providing the Sawyer Water Filters. During our community assessment at the primary school, the teachers informed our Community WaSH Promoters that they get their water from a basin that was built more than 10 years ago without cleaning it, and the water comes off the roof of the school into the basin. 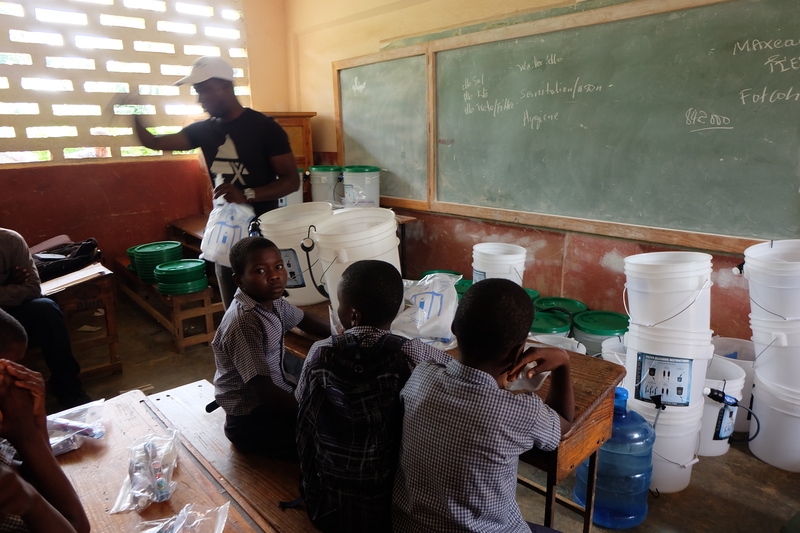 During our WaSH training conducted by the Education Clinic team, students at the school learned about sanitation and hygiene, the proper way to wash their hands, and the importance of drinking safe filtered water and how to safely store the filtered water. 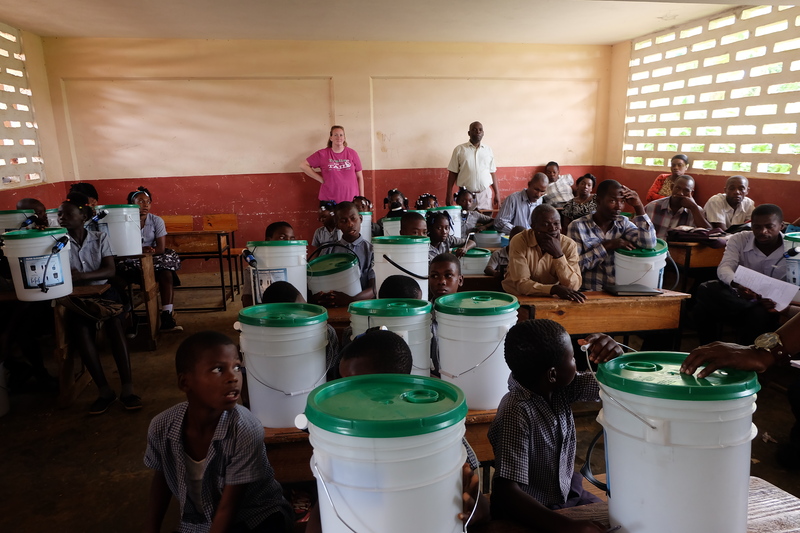 Our community WaSH promoters then conducting the Sawyer Water Filter training for both students and administrators, including the principal of the school and all the teachers.